Early 2017 we started to replace all of the existing Bricklets with new versions. 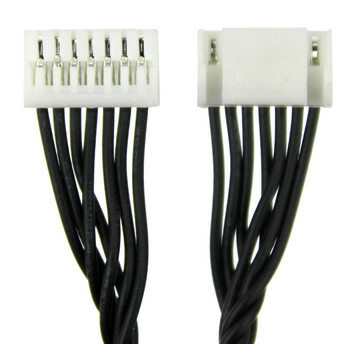 These new versions have a co-processor instead of an EEPROM and they have a different connector. The old connector has 10 poles and is held in the connector header by friction. Unfortunately it is possible to push this connector in at an angle and bend pins in the header. 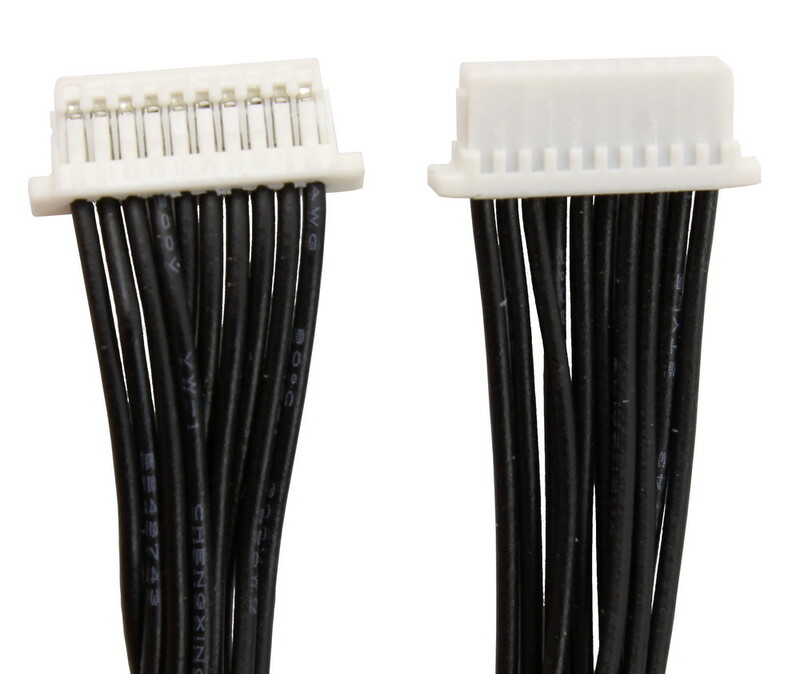 This was the most common complained we got about the building blocks, so we decided to use a new connector when we did the switch from EEPROM to co-processor. The new connector has 7 poles, it has a retaining hook and it can not be pushed into the connector header at an angle. 7 pole - 7 pole (7p-7p). Below we will describe the different kinds of cables and their use cases. Old Bricklets with 10 pole connector. These Bricklets will be replaced by new Bricklets with 7 pole connectors in the future. Thus the 10p-10p cable we become obsolete in the future. New Bricklets with 7 pole connector. Bricklet HAT Zero (not yet released). It is not possible to connect a old 10 pole Bricklet to the Isolator or a HAT. Below you can see a Isolator Bricklet connected to a Master Brick and Voltage/Current Bricklet. In this configuration it needs a 7p-10p cable to the left and a 7p-7p cable to the right. 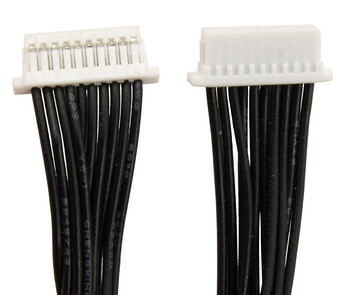 In the future all of the connector headers will be changed to the new 7 pole type (including the Bricks) and the 7p-7p cable will be the only remaining cable type. Please don't worry if you have old Bricklets with 10 pole connector. We will keep compatible Bricks with 10 pole connector in the shop, so you will always be able to use them.